The HBK163S-3K Three Faucet Homebrew Keg Dispenser by Kegco enables you to serve up to three of your favorite home brewed beers at once. This ultra-quiet keg cooler is energy efficient enough to fit in well with your home bar set up, yet powerful enough to withstand rigorous use by beverage industry professionals in brewery settings. This freestanding homebrew keg refrigerator has a sleek black cabinet with a stainless steel field-reversible door. The HBK163S-3K makes serving homebrew beer easy and fun with features like a removable drip tray, chrome guard rail, air-cooled draft tower, and easy rolling unit casters. The cooler cabinet has a 5.8 cu.ft. interior that is spacious enough to fit one full size, pony, or quarter slim keg, two 5 gallon commercial kegs, three ball lock kegs, or two pin lock kegs. When used as a fermentation chamber, it can hold a 6 gallon bucket or carboy. 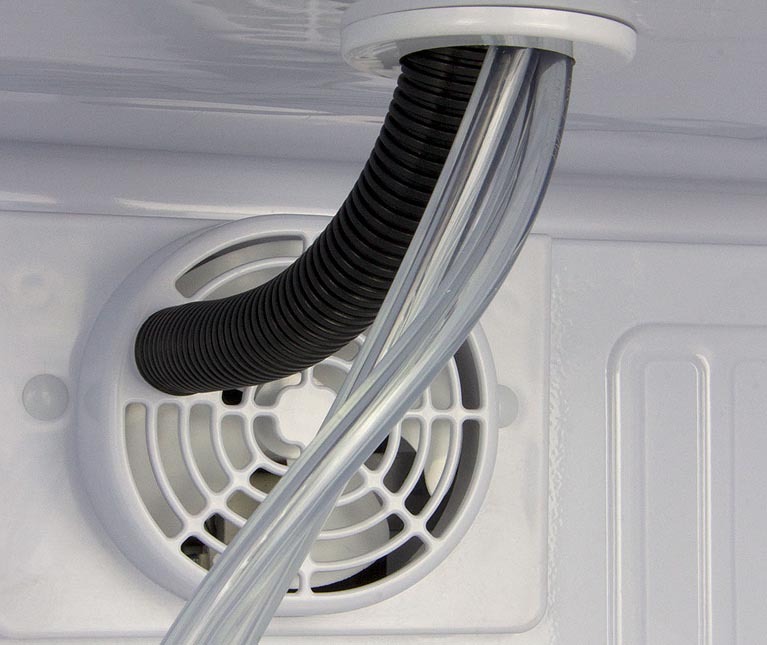 The steel interior floor mat included reinforces the cabinet under keg weight and makes keg loading a breeze. For added food and beverage storage, this homebrew kegerator can even be converted into a regular refrigerator using the three wire shelves. The notably wide degree range of the HBK163S-3K allows you to set the exact temperature you need using the digital controls and clear LED display, anywhere from 32 to 75 degrees Fahrenheit. 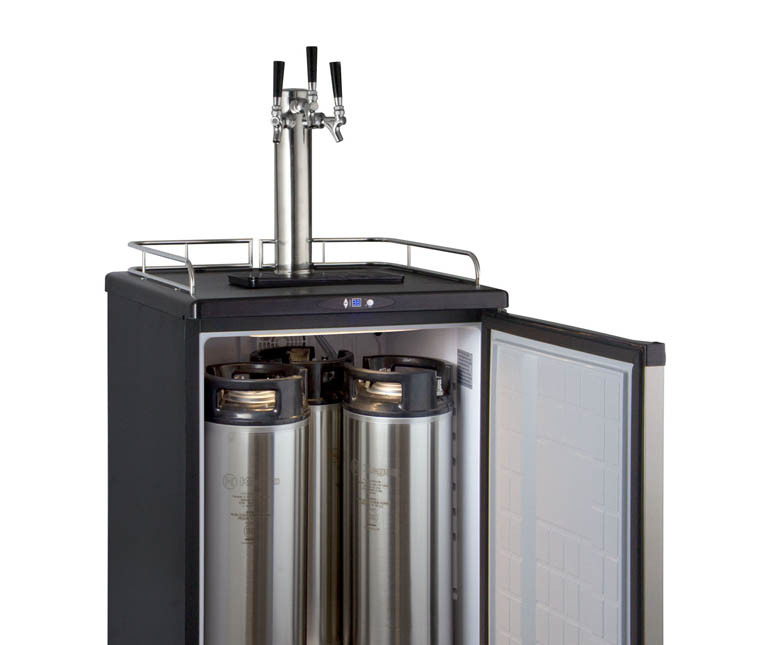 Fan-forced cooling helps keep your kegged beer tasting fresh by circulating chilled air evenly throughout the cabinet, and the air-cooled triple draft tower ensures your brews are delightfully chilled as they reach any of the three faucets. 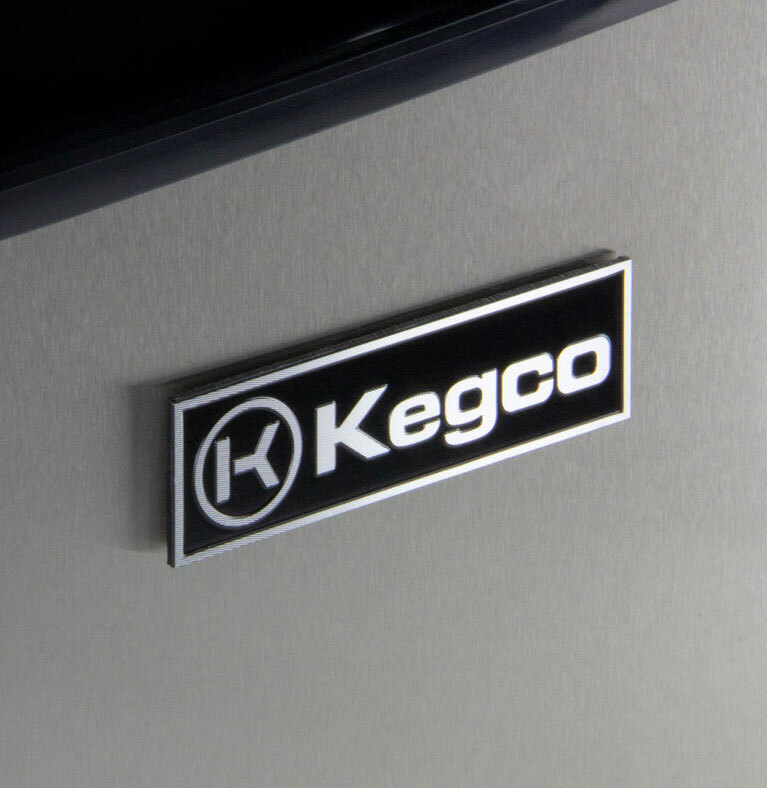 This homebrew keg refrigerator purchase is enhanced by the Kegco's Premium Home Brew Dispense Kit, which includes everything needed to serve three ball lock home brew kegs right away, like three complete sets of ball lock keg couplers.